Making memories one vacation at a time! Specializing in travel to the Caribbean, Hawaii, Mexico & Tahiti! 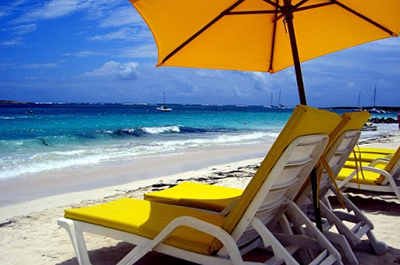 Any travel agent can make reservations… at Sunsational Vacations, we make experiences. We understand how precious your vacation time is, and how important it is to pick the right destination, resort or cruise for your well-deserved vacation. Let us help create vacation memories that will last a lifetime! Visit our Vacations page for ideas on family vacations, girlfriend getaway trips and everything in between. This is also where you’ll find information on the family friendly Azul Hotels by Karisma located in Riviera Maya, Mexico. Our clients that book an AZUL Hotel vacation package receive FREE room upgrades or other special amenities from us! 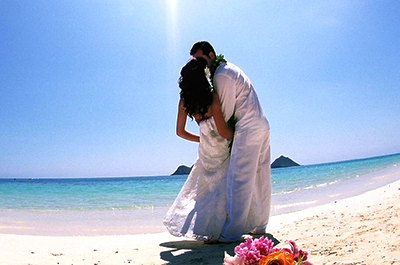 If you’re planning that “once in a lifetime” romantic getaway, whether it’s a honeymoon, anniversary, babymoon trip or any other type of special trip for just the two of you, please visit our Honeymoons and Destination Weddings page! Cruising is a great way to experience several destinations in one trip without the hassle of packing and unpacking at each new destination! Cruising is also an affordable travel option because most of your meals and entertainment are included in the price of the cruise. See our Cruise page for more information. 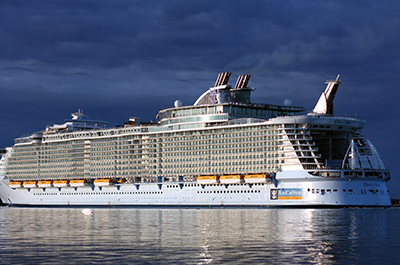 We work with all major cruise lines. Let us help plan your next vacation! sets us apart from an online booking engine! Media from around the world were on hand recently as Karisma Hotels announced the award winners of the 9th Annual Gourmet Inclusive Vacation Consultant Awards and Sales & Marketing Forum. The Gourmet Inclusive Vacation Consultant Awards and Sales & Marketing Forum, which took place at El Dorado Royale, A Spa Resort, by Karisma in Riviera Maya, Mexico from December 7-10, hosted 600 of the most accomplished “Gourmet Inclusive Vacation Consultants” and their guests from around the world. Karisma Hotels & Resorts concluded the event by revealing the winners of the Gourmet Inclusive Vacation Consultant Awards. 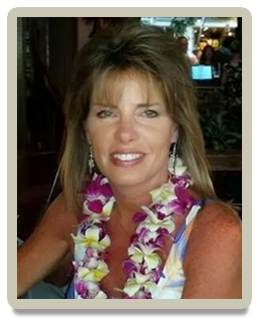 Cathy Jackson, Owner of Sunsational Vacations in Jackson, NJ was awarded the Diamond Producer Award for her sales and expertise of the Karisma Hotel brands. 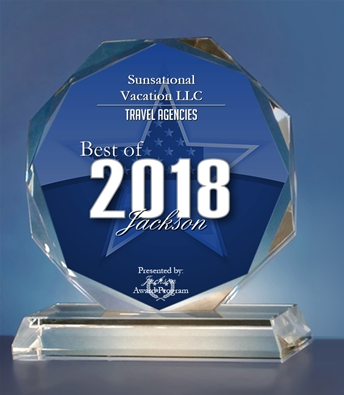 Sunsational Vacations specializes in Honeymoons, Destination Weddings, Group Travel, Family Vacations, Sweet 16 Destinations, and all types of travel to the Caribbean, Hawaii, Mexico and Tahiti. Karisma Hotels & Resorts, an award-winning luxury hotel collection which owns and manages properties in Latin America, the Caribbean and Europe, comprises an impressive portfolio including El Dorado Spa Resorts & Hotels, Azul Hotels & Villas by Karisma, Generations Resorts by Karisma, and Allure Hotels by Karisma. 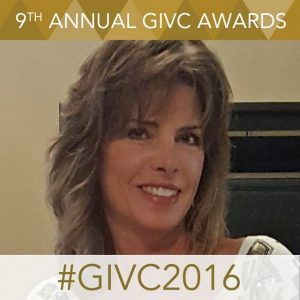 Properties have been honored with the industry’s top accolades including Conde Nast Traveler’s “Top 100 Hotels in the World,” Conde Nast Traveler’s “Top 20 Hotels in Mexico,” Conde Nast Traveler’s “Top 30 Hotels in Cancun,” TripAdvisor® Traveler’s Choice “Best Hotels for Romance,” AAA’s “Five Diamond Award,” AAA’s “Four Diamond Award,” and The Diners Club® 50 Best Discovery Series. Karisma has received worldwide recognition for its creative approach to hospitality management and product innovations. Any travel agent can make reservations… at Sunsational Vacations, we make experiences. We understand how precious your vacation time is, and how important it is to pick the right destination, resort or cruise for your well-deserved vacation. Let us help create vacation memories that will last a lifetime! If you’re looking for that personal touch when planning a honeymoon, romantic getaway, anniversary trip or a dream destination wedding, talk to us. We’ve been helping couples plan memorable honeymoons and destination weddings in the Caribbean, Hawaii, Mexico and Tahiti for over a decade. We also specialize in planning family vacations, cruises, girlfriend getaway trips and group trips. You can rely on us for expert guidance, personalized service, professional advice, unbiased information, value, and first-hand experience while saving you time and frustration in planning your vacation yourself. 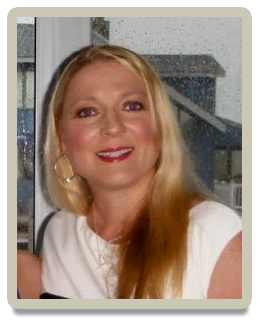 Although we are a home based travel agency located in Jackson, NJ, we serve clients throughout the United States! We’d be happy to provide you with a vacation quote. Browse our site for vacation ideas. We invite you to Get a Trip Quote by completing our quick and easy form. We will respond to your request very quickly! The more details you can provide about the type of vacation experience you’re looking for, the better we will be able to design the perfect vacation for you. Are you planning a group trip for family or friends? Maybe you’re planning a destination wedding, a bachelor/bachelorette party, a group cruise, or just a getaway with some friends. Talk to the travel professionals at Sunsational Vacations. We can plan a group trip for a small group of 10 to a larger group of 50 travelers or more. We’ll research the best option for your type of vacation and offer the best format for your particular situation. To get started, complete our Group Reservation Request form. We’ll contact you soon to start the process. Already know where you want to go! Just want to get started now? Quick access to all of our forms and affiliated pages!